To find out more information about Immigration law, click here to go to the UKVI (Department of UK Visas and Immigration) website. Please Note: Move Up are currently Cape Town based and provide visa assistance for South Africans both nationally and internationally. In the year 2012 Move Up helped South Africans in all 9 provinces as well as South Africans in USA, Canada, New Zealand, Zambia and Australia. OK, documents ready, the next step is to hand in the application and supporting documents. Applicants have to attend an appointment in person (third party submission on applicants behalf not permitted – even for second time submissions). Applicants need to hand in their biometrics (finger prints and eye scan). How do Move Up help in UK visa applications? Good question. I am glad you asked it. 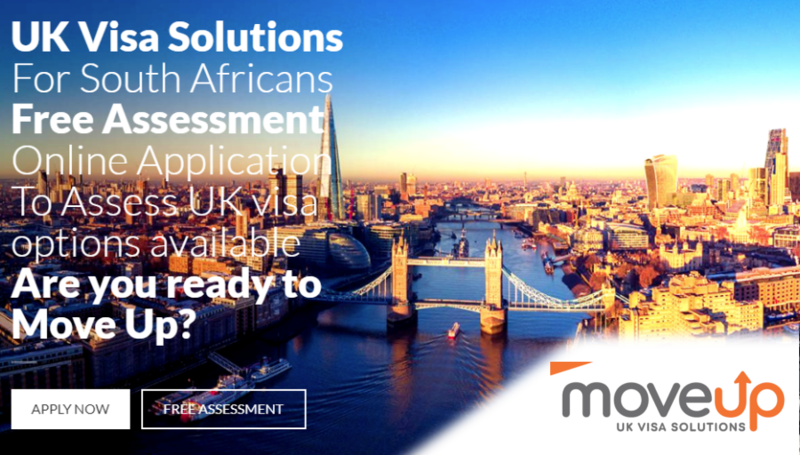 Move Up offer the needed “Know How” when it comes to UK visa applications. By offering visa representation, Move Up act on behalf of applicants to ensure that all the UKVI’s visa criteria are met. The key to Move Up’s visa success is simply limiting the grounds of dismissal. This in turn works towards successful outcomes. Stage 1 – The applicant expresses interest in applying for UK visa. Stage 2 – Move Up assesses if the applicant can qualify and then offers representation. Stage 3 – The applicant appoints Move Up as their visa representative. Stage 4 – Move Up then supplies the applicant with questionnaire, checklist, templates and examples. Stage 5 – The applicant then gathers the required supporting documents and completes the questionnaire. Stage 6 – The applicant then send through copies (either through scan and email, fax or couriered copies). Stage 7 – Move Up proof reads and addresses the case as a whole – limiting any grounds of dismissal. Stage 8 – Move Up completes the online application, the appendix and any other relevant applicants that need to be addressed. Stage 9 – Move Up emails the applicant the completed application forms. Stage 10 – The applicant then prints the final application forms and includes with their gathered documents. Stage 11 – The applicant then attends an appointment at their local application centre in person (to hand in their passport, finger prints and supporting documents). Stage 12 – The application centre then places the documents into a parcel. The parcel is then couriered to Pretoria, where a decision is made based on the paper work supplied. 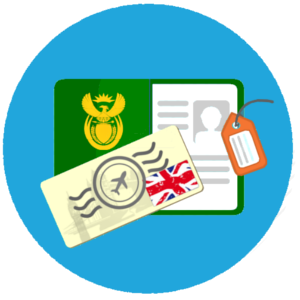 Stage 13 – Once the Pretoria ECOs award the visa, they place the passport (with visa inside) back into a parcel and courier it back to the application centre. Stage 14 – The applicant should get emailed to confirm that the application is ready for collect. Stage 15 – The applicant collects their application (with all supporting documents returned along with visa and passport). If this solution sounds right for you, we encourage you to contact Move Up now. The next step (Step 10 of 12) is: UK Visa Appointment.